As in the first film, it’s not what’s going on necessarily – because the movie is rooted in a parallel imagination – but how the story gets there that counts. 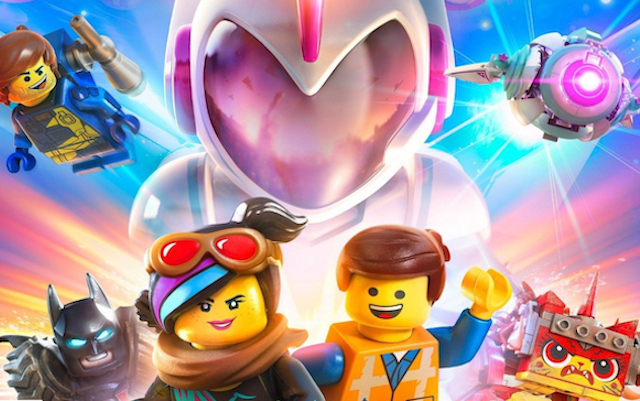 In taking that journey, there are plenty of opportunities for the witty, wiseacre and pop culture reference humor of producers and writers Phil Lord and Christopher Miller (who wrote and directed the first Lego film). And as the film’s narrative moves along, the jokes seem to pile up to surreal level, but even the less-that-funny ones still land. And as animation evolves higher and higher into visual possibilities (and the budgets remain enormous), this type of entertainment is seeking those new heights. The only reason “Lego2” is not as good as the first one is that the concept of a Lego universe no longer is surprising. It’s been five years since the imagination of Finn (Jadon Sand) created the Lego universe, and at the end of the first film, his sister Bianca (Brooklynn Prince) was given the opportunity to blend her universe into his. That has not worked out, and in their lack of cooperation their mother (Maya Rudolph) threatens to put the Lego bricks away. This situation creates the parallel universe. This clash of brother and sister wills creates “Apocalypseburg,” a barren Mad-Max wasteland that still includes optimistic Emmet (voice of Chris Pratt), Wildstyle (Elizabeth Banks) and Batman (Will Arnett), and Emmet has a recurring dream that the barren-like land is headed toward Our-Mom-ageddon. How will the gang, with help from Unikitty (Allison Brie), Metal Beard (Nick Offerman) and Benny (Charlie Day) defeat the twisted Queen Watevra Wa-Nabi (Tiffany Haddish)? It all clever stuff, and putting adult level jokes into a child’s imagination dream is a stroke of creative genius. 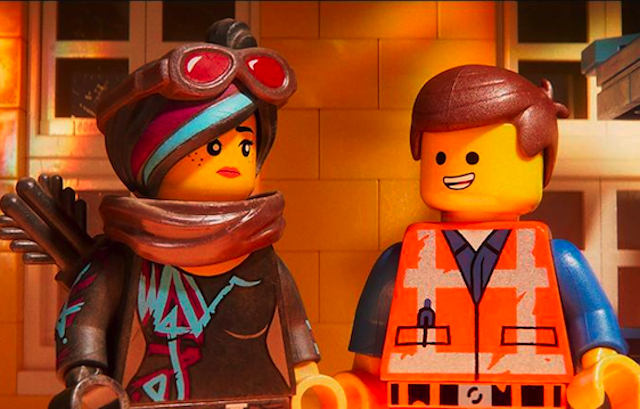 What worked best in the first Lego film was its sense of humor, and this is what also works in “The Second Part.” Chris Pratt’s overly optimistic Emmet never loses his strange charm, even as his older self appears, the very funny Rex Dangervest (which is an amalgamation of Pratt’s movie roles). Will Arnett’s Batman is always welcome, fresh from his own film. And even though WildStyle (Elizabeth Banks) had to move over a bit for Tiffany Haddish’s Queen, the gang from the first film is overall still making it work. The greatest crack-ups are the little asides the characters have, riffing on adult worries like trademarks, psychology and pop culture … even reaching back to the baby boomer era. They come so fast, that often I was laughing at one thing, when a another joke came down. Lord and Miller are almost like comedy writers for a variety show, with each sequence separately framed just to see how many jokes can be thrown in, and then, add a witty song and dance number. Also, I hope I’m not taking for granted the platinum age of animation, because it seems with each high profile release the expectations soar. Not so much in what they are showing, but how they’re showing it. Queen Watevra is a shape-shifter, and all of her scenes are trippy without drugs (in 3D, RPX and/or IMAX!). The rest of the production design is stratospherically high end, the story/quips match it, and it all adds up to sheer entertainment.